The World Jazz Photo competition began in 2013, organized by photographers Patrick Marek and Ivan Prokop, and event promoter Tomáš Katschner. In its first year, 134 photographers from 29 countries participated. An international jury picked three winners. First prize went to Didier Jallais (France), Second prize to Rainer Rygalyk (Austria) and Third prize went to Miroslav Novotný (Czech Republic). Thirty photographs formed the basis of a well-received traveling exhibition. Annually from that point, the organizers have toured the exhibit in galleries throughout the Czech Republic, Slovakia and Belgium. 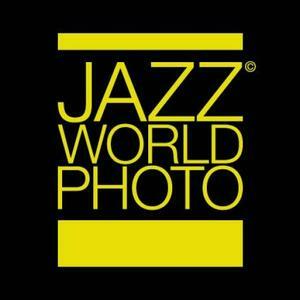 Jazz World Photo is a not-for-profit project promoting jazz, blues, funk, world music and related photography. Every year, the winners and jurors meet at the Jazzinec festival in Trutnov, Czech Republic. It now features as part of UNESCO-sponsored International Jazz Day.